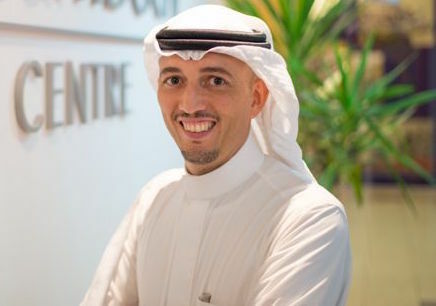 Suhail Ghazi Algosaibi is an award-winning serial entrepreneur, startup investor and mentor, author, marketer, consultant, TEDx speaker, and activist based in the Kingdom of Bahrain. Suhail’s personal mission is to make Bahrain and the world a happier place by helping people unleash their potential. He takes particular pleasure in empowering young adults through the magic of entrepreneurship. He is the founder and CEO of FALAK Consulting, a passionate and obsessive management consultancy consisting of innovators and problems solvers obsessed with finding a better way. Falak’s purpose is to build stronger economies and happier societies by unlocking business and human potential. It is a business with a higher cause and reinvests some of the proceeds back into the community through the Learn and Grow initiative. Suhail is also the founder of Ghazi Algosaibi Holdings, and it’s two divisions, Safeen Books and Safeen Properties. Suhail is a dedicated student of reconciliation and peace-building and is passionate about promoting civil dialogue in Bahrain. He is the Founder and Chairman of the Bahrain Foundation for Dialogue (BFD). He is also a proud member of Entrepreneur Organisation (EO) and Young Arab Leaders (YAL). Other memberships include the networking group Tumouh, and Oqal, the Saudi angel investing group. For our full interview with Suhail, download the Innovation Navigation podcast.